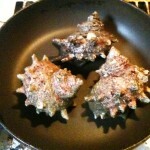 1) Place turban shells on fry pan and then grill them. 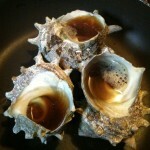 3) When shells begin to froth, put some soy sauce and sake on to the lid. 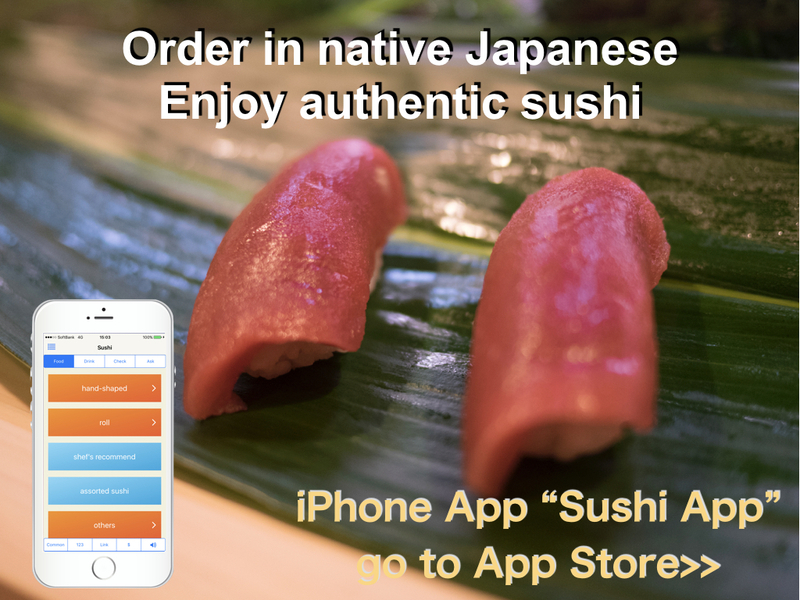 4) Many bubbles appear, it ready to eat. Sometimes (or often? 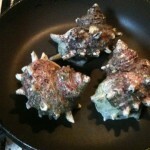 ), it is difficult to pull out meat from turban shell. In that case, stab something like an ice pick through the gap and then pull put meat a little. After that, pull out to turn slowly. 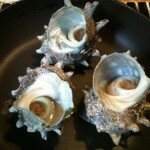 Because turban shell is swilling in it, you cannot pull out everything if you pull out forcibly. 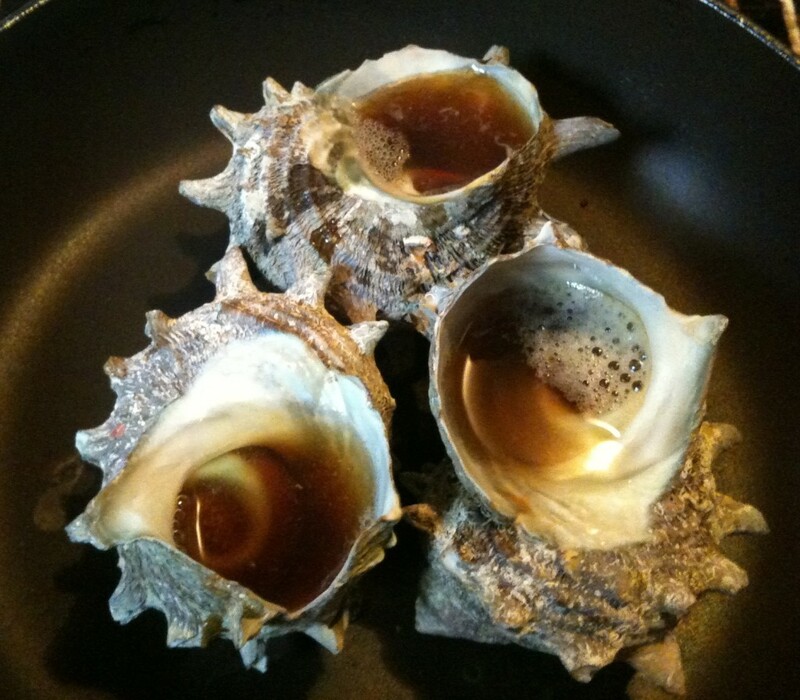 We eat turban shell as sashimi, too. But it should be fresh. 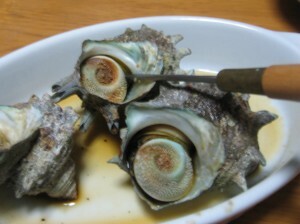 Turban shell has a lot of nutrients and scent of sea comes from inside of shell, it is very delicious.